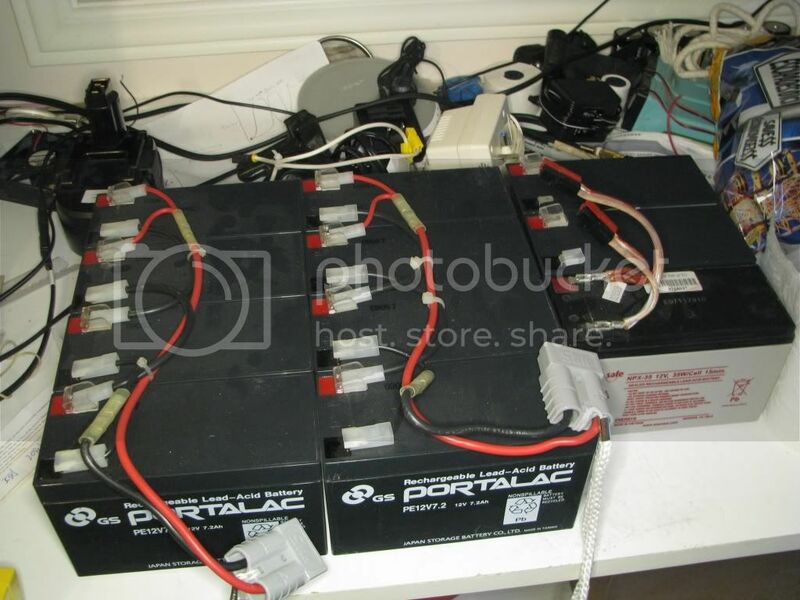 You may recall from my last post the lovely photo of a large number of sealed lead acid (SLA) batteries gifted to me. I have finally completed the battery bank wiring with a few features in mind. Originally I had 2x 2s2p 24VDC packs, and a 2s1p 24VDC pack, which I reconfigured to 1s10p. 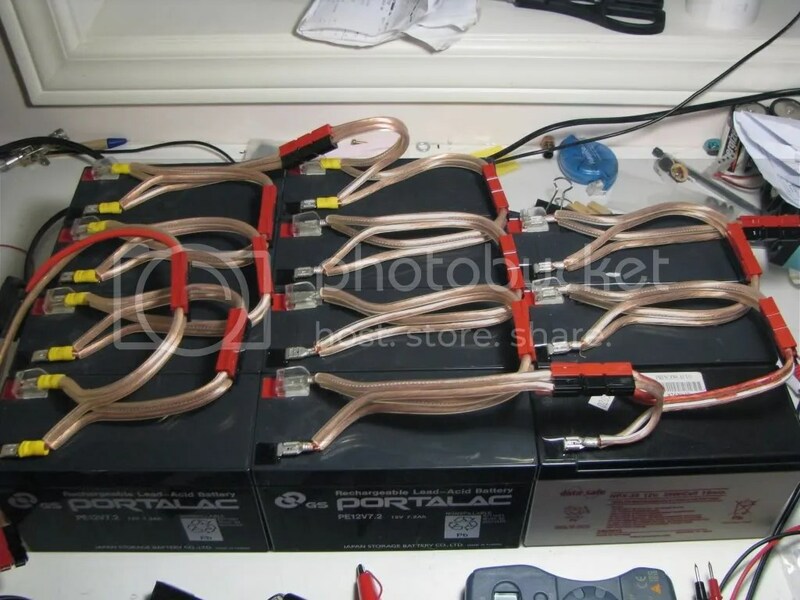 I started out with this set of 7.2Ah, 12VDC SLA batteries and made up spade crimp terminal to powerpole adapters to allow for easy daisy-chaining of the batteries. I did this for a three reasons. Versatility – I can split off 1, 2, 3, 4 batteries to go power some other device without worrying about disassembling a static installation. Additionally I can change the physical arrangement of the batteries themselves (rectangle, single long string, over/under, etc. Safety – I can make all my connections with a small capacity, then safely series them with connectors that will never allow a short (versus attempting to crimp a long dangly cable wtih 10 crimp connectors on it and connecting it carefully to ensure no shorts occur).